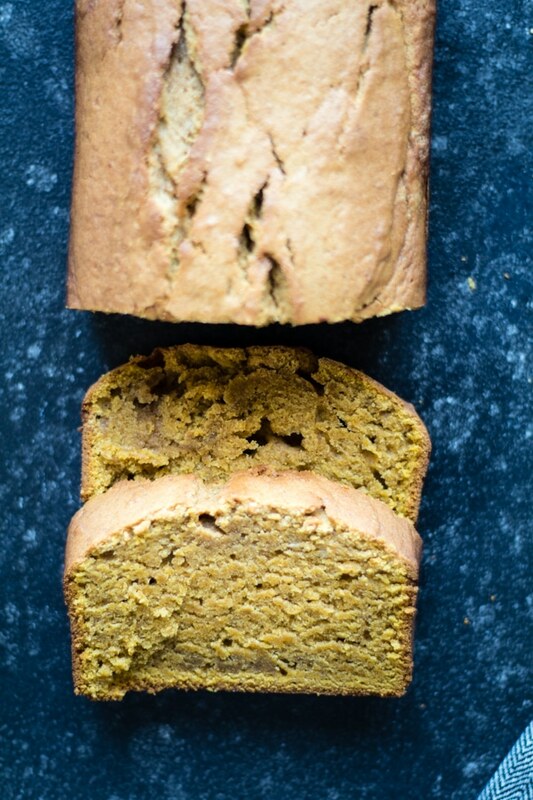 Pumpkin Pound Cake with Collagen - Fall flavors all in one slice! It’s *almost* Fall…so let all things PUMPKIN begin! 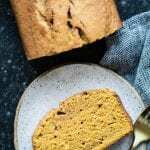 To kick off the season, I made Pumpkin Pound Cake with Collagen Peptides to give this delicious dessert a protein boost! This may sound weird…but some mornings within 10 minutes of being awake you can find me in the kitchen baking something already. I get an idea and HAVE to make it before it leaves my brain! I have a baking bug in me! Growing up, my Grammie often bought Entenmann’s Pound Cake. I remember coming home from school and it was 1 of 3 things: Chocolate Pudding, her homemade bread rolls, or Entenmann’s Pound Cake. In honor of school being back in session and Fall quickly approaching, I had this desire to make Pumpkin Pound Cake! The collagen is certainly not a Grammie touch, that is something extra I added. I can only imagine my Grammie’s face if I told her I put collagen in my pound cake HAHA! I am no longer an Instructor at Cyclebar. One door closes and another opens. I went to Dallas at the end of August for Dallas Mania. I became certified in Pilates Mat Work with a few other girls from BEYOND Studios here in Clovis! You can find me at BEYOND Studios (Reformer Pilates) 4 days a week and blogging on the other days. Next week I am headed to the Tastemakers Conference in SLC and I am SO excited to network with other bloggers around the US. Then, later this month I am going to New Orleans (for the 2nd time this year, what?!) with the Tri-Lamb group. To sum it up – this trip is a 3 day lamb + culinary medicine immersion for a small group of health and nutrition professionals. We will learn the latest lamp nutrition and trend data and how lamb fits into a healthy, balanced American diet, get hands on cooking with lamb, meet & learn from a shepherd, and I am sure much much more! Between all the busyness – I’ve been trying to spend more time with friends and family. Working on keeping the social life alive! I think at the next family gathering I need to bring these Pumpkin Muffin Bites! What have all of you been up to? Leave me a comment below and let me know! 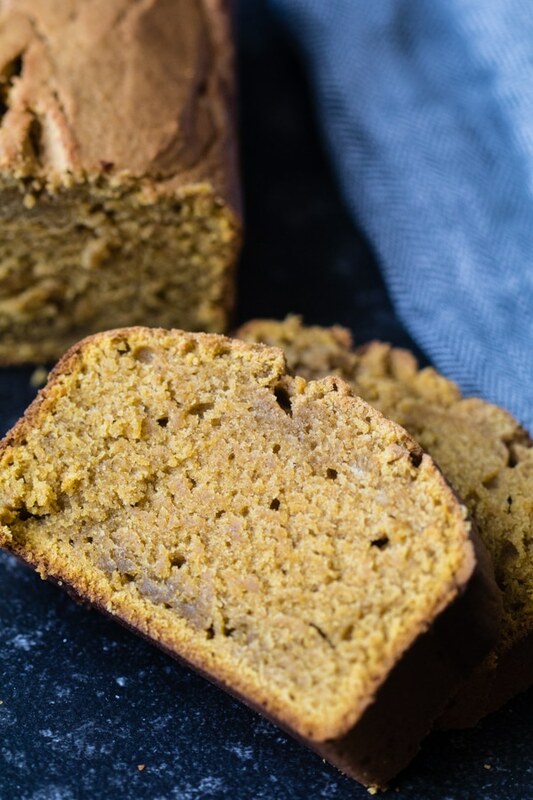 PIN THIS PUMPKIN POUND CAKE RECIPE FOR LATER! Enjoy! Tag #krollskorner on Instagram if you make it too! 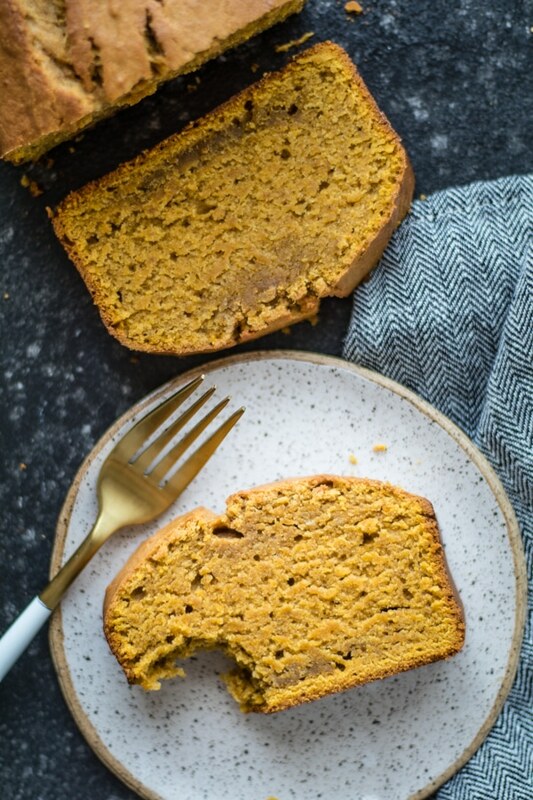 Welcome Fall with this Pumpkin Pound Cake made with Collagen for a boost of protein (because, why not?) Cinnamon, nutmeg, Pumpkin and all things Fall in one delicious slice! Preheat oven to 350 degrees F and spray a 9-in by 5-in loaf pan with PAM. In a standing mixer, cream butter and sugars. Add in the eggs, one at a time, beating well after each addition. Mix in vanilla. Combine the dry ingredients in a separate bowl and then add to the butter/sugar mixture. Then add the pumpkin & beat just until combined. Bake for 65-70 minutes or until toothpick inserted in center comes out clean! Cool for a few minutes, then remove from loaf pan and enjoy! I want to start baking with collagen more and I think this recipe is the perfect one to try out first! I’ve never baked with collagen before! Does it bake normally? Any changes? Bakes normally – YES! 🙂 Can’t even taste it! I am all about all things pumpkin! This sounds lovely for some weekend baking! This looks and sounds delicious. Great work! Thank you Amy! Perfect for Fall!